Croy Beach is located between Maidens and Dunure in Ayrshire. 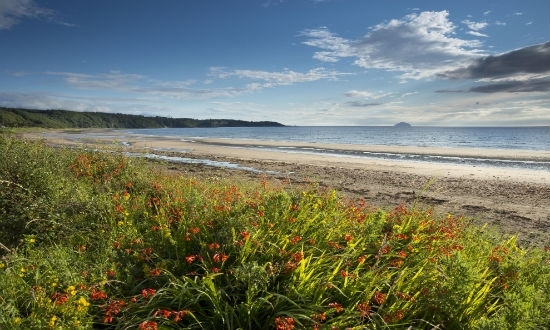 Found nearby the small town of Maybole, Croy Beach is a mixture of sand and rocky outcrops and is a great area for walking and admiring views of Culzean Castle. This gem of a beach is popular on sunny days, especially with those looking to pursue surfing and yachting activities. Facilities at Croy Beach include a car park, toilets and a nearby caravan site. VisitScotland / Paul Tomkins, all rights reserved. The beach at Croy Shore, Culzean Bay, with Culzean Castle and Ailsa Craig in the distance, South Ayrshire. VisitScotland / Paul Tomkins, all rights reserved. The beach at Croy Shore, Culzean Bay, with Culzean Castle and Ailsa Craig in the distance, South Ayrshire. VisitScotland / Paul Tomkins, all rights reserved. 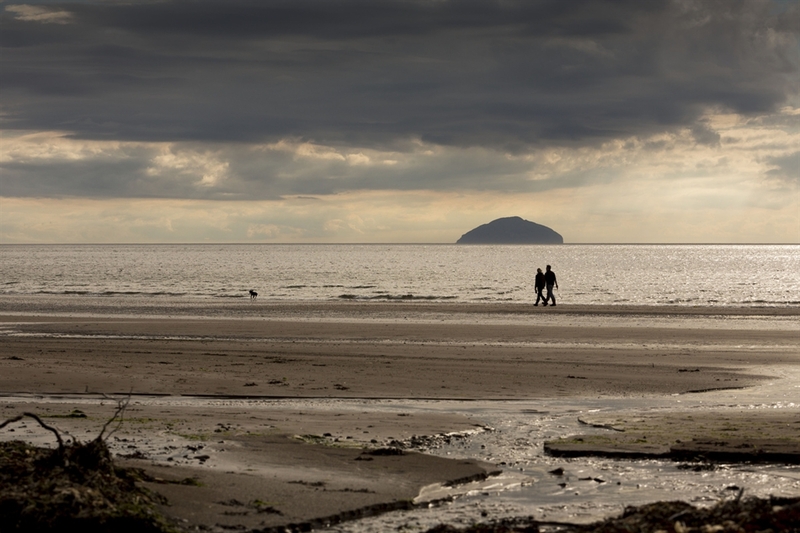 A couple walking on the beach at Croy Shore, Culzean Bay, with Ailsa Craig in the distance, South Ayrshire.